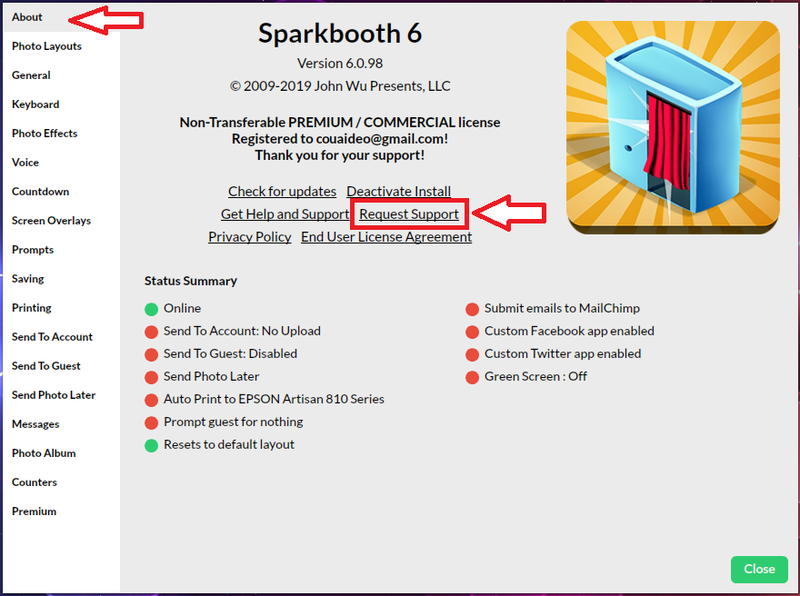 HI Joe, this is Oscar Leija, this the computer that i purchased the sparkbooth program, its a Mac book pro, You ask for me to send in the request for refund on this computer , and that John may consider on the refund. Thank you. the hold down shirt-ctrl-9 and fill out the dialog and press send.